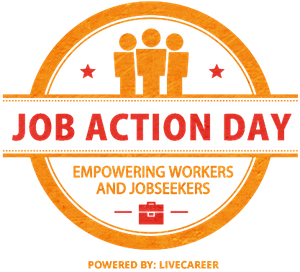 ﻿ Job Action Day: Get Involved with Job Action Day! Are you a career or workplace expert? Do you publish a blog, write a column, or create material that empowers people to achieve career success? If so, we want you involved with Job Action Day 2017 on November 6th! 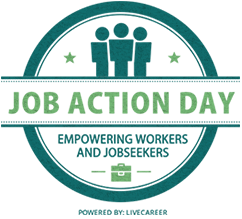 The theme for Job Action Day 2017 is "Survive and Thrive: Using Transferable Skills to Give Your Career New Life". 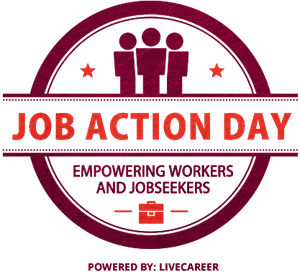 Get involved with Job Action Day by emailing alexandra.choy@bold.com. Are you a jobseeker, student, or worker? We want you involved in Job Action Day too! Follow the links below to find a plethora of articles, blog posts, and more -- all written to empower you to take action and move your career forward! Job Action Day 2016 took place November 7, 2016 Read the details of Job Action Day 2016. Job Action Day 2015 took place November 2, 2015 Read the details of Job Action Day 2015. Job Action Day 2014 took place November 3, 2014 Read the details of Job Action Day 2014. Job Action Day 2013 took place November 4, 2013 Read the details of Job Action Day 2013. Job Action Day 2012 took place November 5, 2012 Read the details of Job Action Day 2012. Job Action Day 2011 took place November 7, 2011. Read the details of Job Action Day 2011. Job Action Day 2010 took place November 1, 2010. Read the details of Job Action Day 2010. Job Action Day 2009 took place November 2, 2009. Read the details of Job Action Day 2009. Job Action Day 2008 took place November 3, 2008. Read the details of Job Action Day 2008. 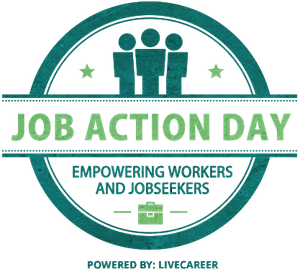 Job Action Day was established by QuintCareers, a LiveCareer site and one of the web’s leading destinations for jobseekers. This annual event brings together career experts and bloggers to provide the most relevant advice to jobseekers and workers.